Fringe can add interesting detail to a rug, but when it gets dirty it can become an eyesore. Take care when cleaning rug fringe as it can easily become damaged, causing your rug to look shabby. Rug fringe also provides a hiding place for dirt and dust, which can aggravate allergies and create an unhealthy environment. If your rug's fringe is due for a cleaning, it's a simple chore that's well worth the minimal effort. 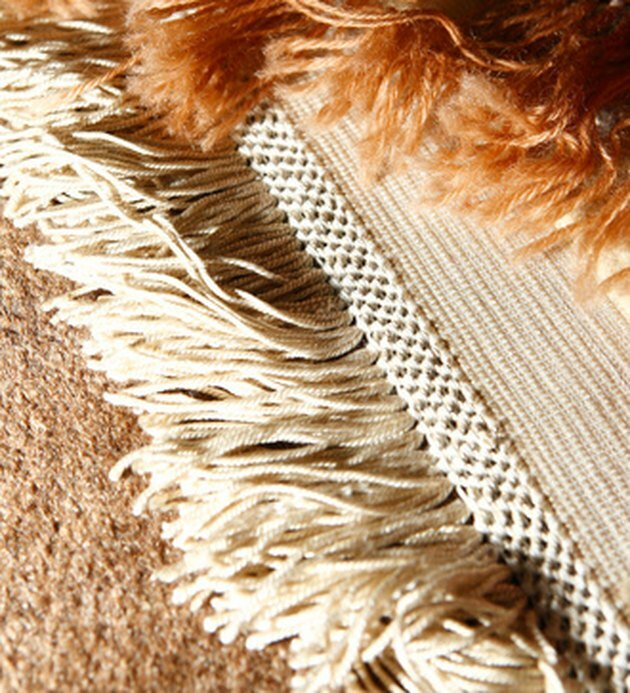 Keeping your rugs' fringe clean is a simple chore that helps keep your rug looking like new. Place a plastic tarp underneath the rug to protect the floor around it. This will help to prevent spreading the dirt to other surfaces. Brush the fringe with a soft- to medium-bristle brush to remove loose dirt, dust and debris. Add 1 tbsp. of ammonia to 8 oz. of warm water. Dip a cloth or sponge into the solution and wring it out well. Wipe down the fringe with the cloth or sponge, taking care to dampen every piece of fringe. Add 1 tbsp. of white vinegar to 8 oz. of warm water. Rinse the fringe with a separate clean cloth or sponge dipped into the vinegar and water solution. Allow the fringe to air dry. Place a fan nearby to circulate air over the fringe to help it dry more quickly.